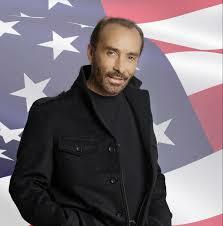 The Tennessee Veterans Business Association is pleased to welcome Country Music Icon Lee Greenwood to the 8th Annual TVBA Keynote Dinner later this month at the Knoxville Convention Center. The TVBA Keynote Dinner will be held 6:30-9 p.m., Monday, January 28th at the Knoxville Convention Center. Greenwood will entertain guests with his musical talents, leading the crowd in the singing of the National Anthem and closing out the patriotic evening with “Where the Stars and Stripes and the Eagle Fly” and his popular “God Bless the USA.” He will also entertain TVBA Sponsors during a special VIP evening at the Villa Collina, Tennessee’ largest home, on Sunday, January 27th. Greenwood has had seven #1 songs and 25 charted singles. Greenwood has won numerous industry awards, including Male Vocalist of the Year for the Academy of Country Music and CMA Song of the Year in 1985 for “God Bless the USA,” which has been voted most recognizable song in America. With Lt. Colonel Oliver North as Keynote Speaker of the evening, the Keynote Dinner ushers together veterans, veteran business owners, nonprofit organizations supporting veterans, TVBA Champion Partners and major sponsors for a fun evening dedicated to camaraderie, networking and celebrating the veteran. Tickets are $125 each or $1,250 per table of 10. Become a Veteran Table Sponsor for $1,250 and gift one table of 10 Keynote Dinner seats to veterans or a veteran organization of your choosing. Veteran Table Sponsors will also receive two tickets to a private sponsor’s reception at The Villa Collina, featuring Entertainment by Lee Greenwood, and their company logo on all event marketing material. To purchase dinner tickets or to become a sponsor, visit GoTVBA.com.